Tom Zahorsky is the Director of Strategic Branding of TOMY International. 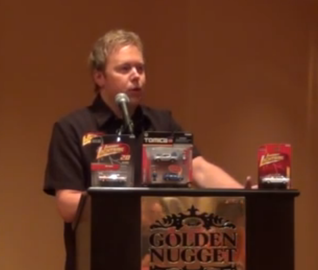 Zahorsky was inducted into the Diecast Hall of Fame in 2009 for his work designing Johnny Lightning diecast cars for Tomica. He started his diecast design career in 1995 with Racing Champions, including the Racing Champions Mint and Racing Champions NASCAR series.